The structure your system must attach to, such as an I-beam, concrete column or roof, can dictate the type of specialised system required. 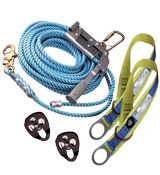 A horizontal lifeline may appear to be a basic line strung between two anchors, but it is not. It is critical to choose a system that has been precision engineered and rigorously tested​ for the application and structure it will be attached to. The world's first and only retractable horizontal system offers maximum safety and ease of use! 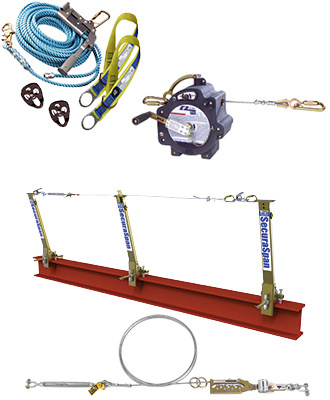 EZ-Line™ is user friendly and extremely fast to install, remove and store. The innovative retractable design of EZ-Line™ eliminates large and bulky coils of cable that are difficult to set-up, relocate and store.​ It has a built-in winch allowing you to customise the length in any increment up to 18m and accommodates up to 2 workers for added versatility.